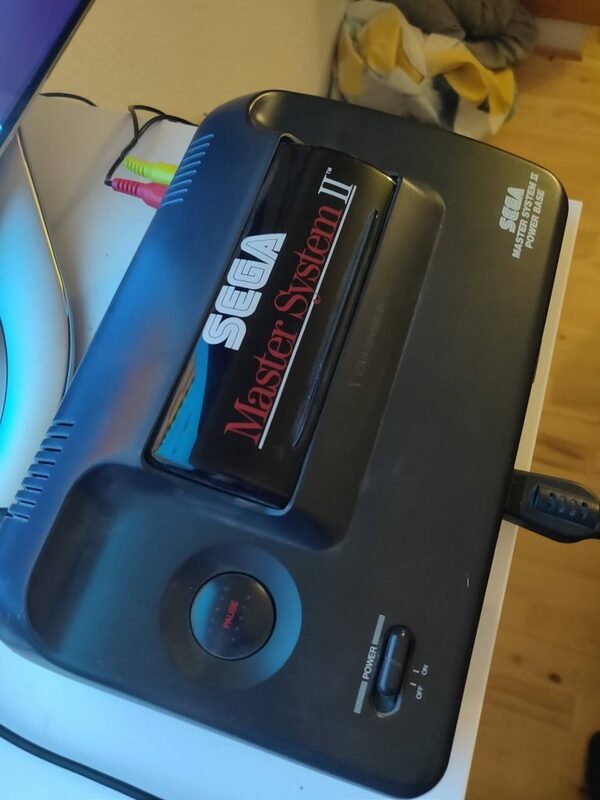 Recently I modded my good old friend… A Sega Master System 2 from my childhood, I’ve kept since 1993. The mission were to make it possible to use composite/AV connectors on my TV, instead of the old RF signal port. This Sega console had to be hooked up between your analog TV antenna and your TV. With a switch box you could select to use the console connection, or the normal TV signal. But since I hate connecting that thing, searching for the right channel, and lack of compatibility with modern TVs, I decided to mod my Sega with new video and audio output. There were just one problem… Most of the guides tells you to hook your components up to a SONY chip. But my Sega had a much smaller Fujitsu MB 3514 chip instead. 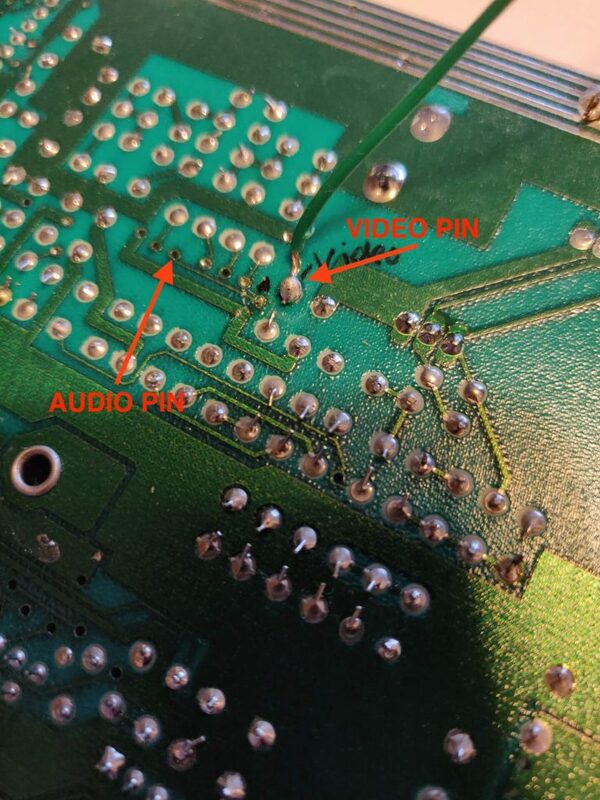 So I couldn’t solder my wires to the pins on my chip. So we had to wire it all on the backside, as you can see on the pictures.